I recently did a Q&A session as a Hangouts On Air. As the recording is quite long I wanted to provide a quick way for people to jump to particular questions. 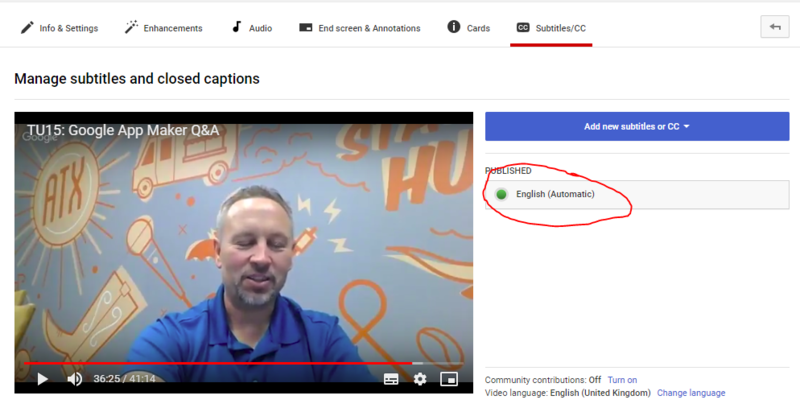 Both YouTube and Google+ make this a lot easier by detecting time codes in your description or post text and converting them to links that take you to that part of the video. Open the downloaded .sbv file in a text editor, select all the text and copy. In your copy of the Google Sheet template click in cell B2 and paste all the text you copied in the previous step. You should now have a video description like this or a G+ post like this. 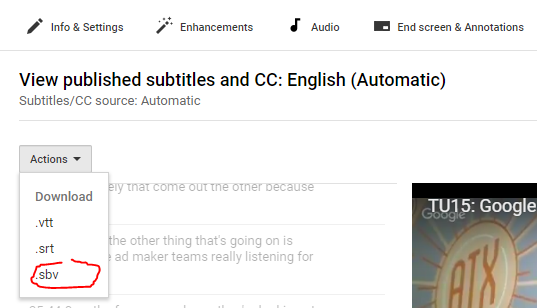 As YouTube/Google have done all the hard work creating the hyperlinks in the text you can also copy/paste to other places, for example, this Google Sites page. As well as improving navigation to your YouTube video if metrics is your driver you’ll also get extra view hits each time a jump list item is used :).